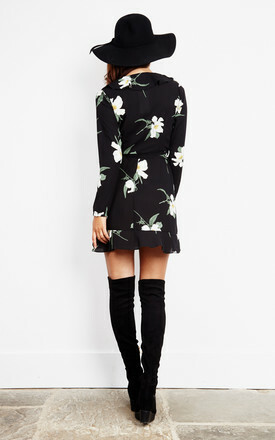 This floral wrap dress is one your wardrobe can't live without. It's an outfit you can wear all year round. Styling advice: during the spring and summer pair with flats, heels or trainers. For the chillier months simply add tights and over the knee boots to complete your look.